The Animal Guardian Society is a small rescue. We do not own a shelter or a wellness centre (however, it is one of our long-term goals). 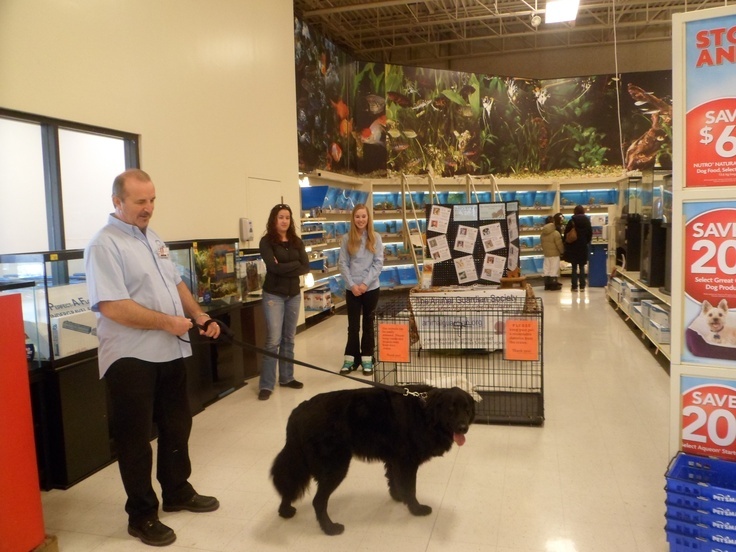 Therefore, if we want to keep in contact with the public or showcase our dogs, we can do so only through PetSmart (or Pet Valu, which recently became part of our weekend schedule). Through this sort of outreach, we get better exposure for our dogs by letting PetSmart customers meet them “in person.” Seeing a dog somewhere other than on a photo is still the most efficient way to get him or her adopted. It’s often hard to take a photo of a dog that will truly reveal his or her personality. 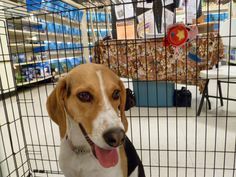 We are at PetSmart and Pet Valu (different locations) every weekend from noon until 4 p.m.(or 3 p.m. on long weekends). We usually have one to three adoptable dogs in crates and two or three volunteers who look after them and answer people’s questions. This is one of the few volunteer position at TAGS that involves dealing with animals directly (others include fostering, doing home visits and transporting). We have other volunteer positions available, too, but most are ones done through interaction with a computer, not with dogs. Are you interested in volunteering for The Animal Guardian Society? Teenagers, you can get your community service hours while helping animals in need! We offer a volunteer orientation for new volunteers to help them get started with TAGS or simply schedule our newcomers in PetSmart shifts to shadow our other, well-seasoned volunteers. This way, they can observe the way we work “in action.” Click here to see more photos from our PetSmart shifts. Please click here to submit an application to become a volunteer with TAGS. Izzy at PetSmart. She’s adoptable!